I have never made a pie in my life. So the day after Thanksgiving as usual I had a lot of left over sweet potatoes. In a moment of inspiration I thought… I going to make my very first pie! I’m going to make a sweet potato pie. I looked at a million recipes online and in cook books. I found recipes that used yogurt, cream, condensed milk etc. but I didn’t want to make a filling that was much like a custard, so I finally settled on a very simple and straight forward recipe. First, I had to make the crust. to make graham cracker crumbs, I put some graham crackers in a zip lock bag and I took a rolling pin and smashed them until they were…wait for it. FINELY CRUSHED CRUMBS! #Duh! 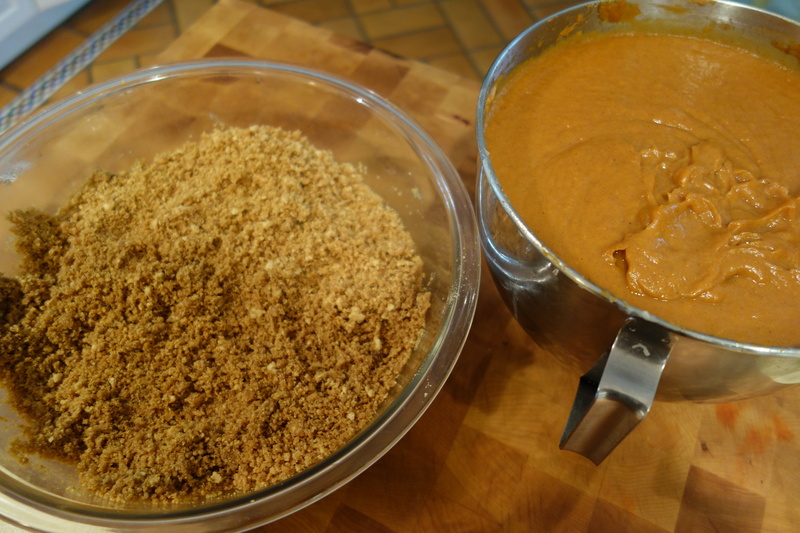 mix graham cracker crumbs, brown sugar, melted and cinnamon until well blended. Press mixture into a 9 inch pie plate. Preheat oven to 375 degrees. All potato prep work I got to skip cause I had leftovers!!! Yippee! Place sweet potatoes in the bowl of an electric mixer fitted with the paddle attachment. Beat on medium speed until the sweet potatoes are well mashed and any stringy pieces of sweet potato have wrapped themselves around the paddle attachment. Remove paddle attachment, wipe clean, and return to mixer. With the mixer on low speed, add butter, and beat until well combined and cooled slightly. Slowly add sugar. Add eggs, one at a time, beating after each addition. Add allspice, cinnamon, nutmeg, vanilla, and lemon juice. Continue beating until well combined. Pour mixture into prepared pie crust. Transfer to oven and bake until center has set, 45 to 50 minutes. The pies came out perfect! When I say perfect…I mean perfect!!!! I served my brother a slice the day after, the day after Thanksgiving. He was still stuffed. He ate half the pie and then begged me for the other pie to take home claiming that since I had never made a pie myself I wouldn’t be able to duplicate the recipe so he needed that pie to take as it was special! I had no idea making pies so was easy. I was so thrilled by my virgin pie making episode that after my family left, I ran out and bought a bunch of sweet potatoes and immediately made 5 more pies just to see if they would taste as good as the first ones. Yes, they did! So, I guess now I am an official and bonafide Pie PIMP!!!! You really love to cook don’t you? I am so impressed! 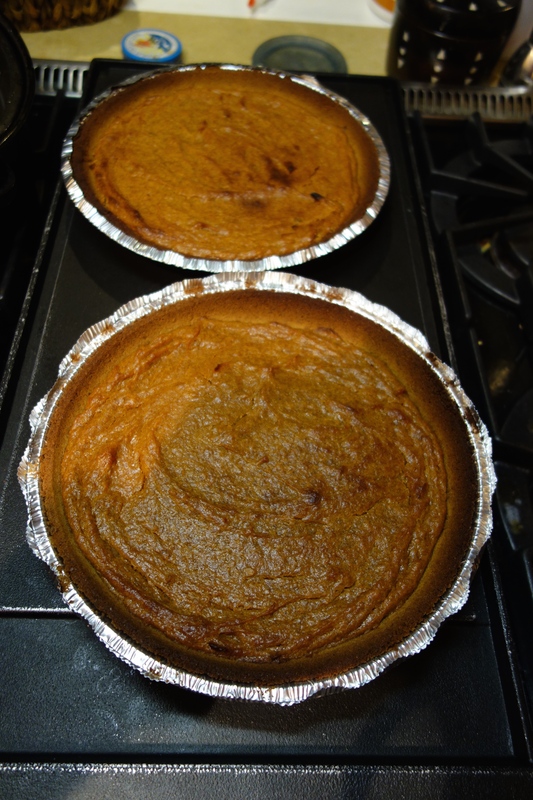 I never made sweet potato pie like this before. Sounds interesting so i’m going to try it. I’m sure it’s delicious. I like this sweet potato pie. I never made it before. I can’t wait to try it at home.